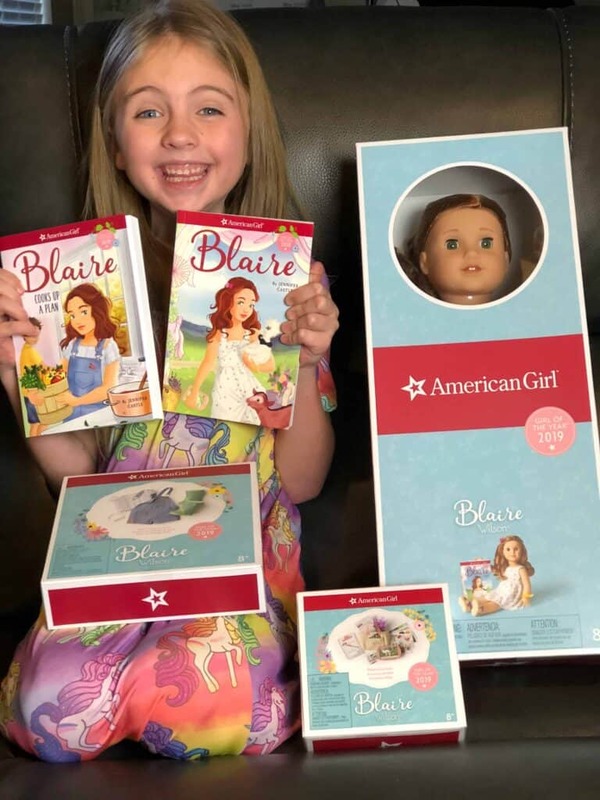 We are excited to have you Meet American Girl Doll of the Year Blaire Wilson! This post and giveaway is sponsored by American Girl. I had a favorite doll growing up. As a young girl, I would take it everywhere with me. I remember going on road trips as a family and having my doll buckled up next to me. She was important to me, and I wanted to keep her safe. Now that I have daughters of my own, it is so fun seeing them have favorite dolls too. 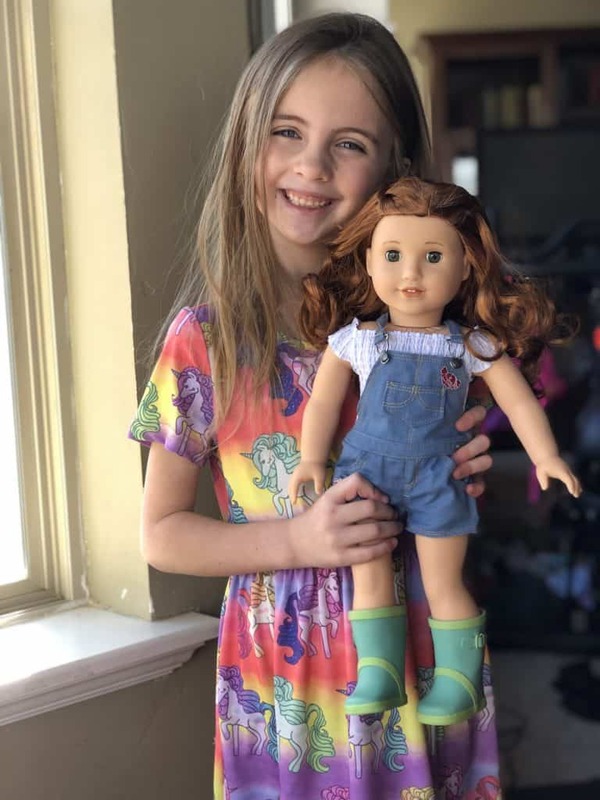 My oldest daughter fell in love with her American Girl doll Kit when she was younger and as a teenager, she still has it today. Meet Blaire, the 2019 Girl of the Year! She’s a chef-in-training, party planner, and chicken wrangler at her family’s farm and restaurant. 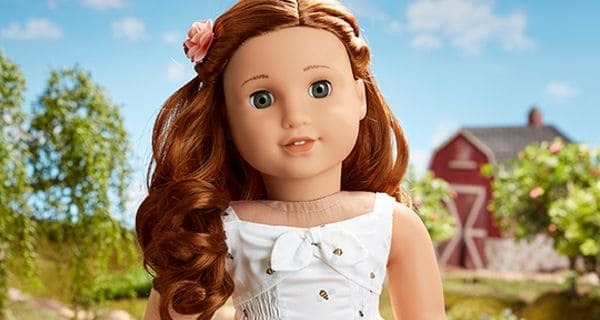 The 18″ Blaire doll has bright green eyes that open and close, and curly red hair. She has a huggable cloth body, and her movable head and limbs are made of smooth vinyl. She comes with the Blaire paperback book, plus her signature outfit. Don’t you love the excitement on her face? She makes me so excited. I love that she was excited to get an American Girl Doll, but what I love most, is that I know exactly what this doll is going to mean to her. This daughter, is one of the most imaginative kids that I know. Imagine Bonnie from Toy Story– that is my daughter. Blaire Wilson to my daughter opens up the door to a new world of imagination. Hours of fun imaginative play with a doll that she can take anywhere with her. I love that you can get so many fun American Girl accessories to take their imagination further. Here are some of the fun outfits and accessories that you can get for Blaire that make creative play more fun as your child can interact with the world that they make up for the doll to live in. In Blaire’s case, they are definitely outdoors and playing in the garden! One of my favorite things about American Girl is that the give your kids so many tools to their imagination. 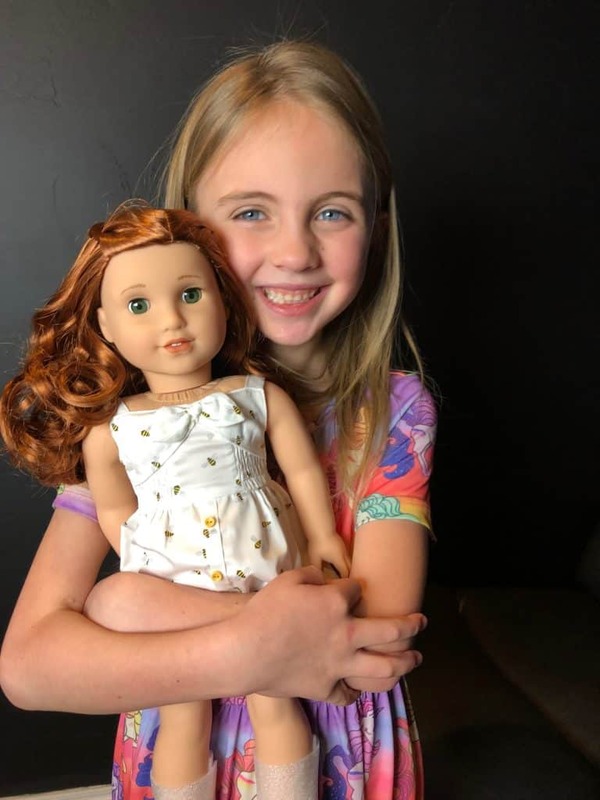 I love that their dolls encourage creativity, the accessories help provide them with additional opportunities to play but they have also released adorable books that help take your child into the world of their favorite doll to learn more about them. 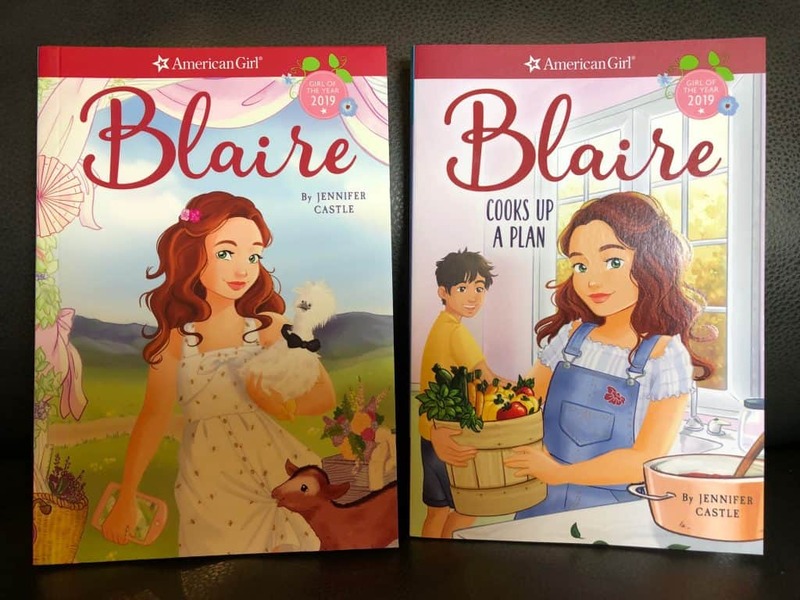 My daughter loved reading the Blaire books because it helped her to learn more about who Blaire Wilson was and what kind of adventures they could take together. They have so many fun American Girl books available on their website that not only are fun but often teach great lessons for your kids. Isn’t Blaire Wilson adorable? I love her adorable ginger hair and the cute bumble bees on her dress. I especially love seeing the smile on my daughters face as she plays. 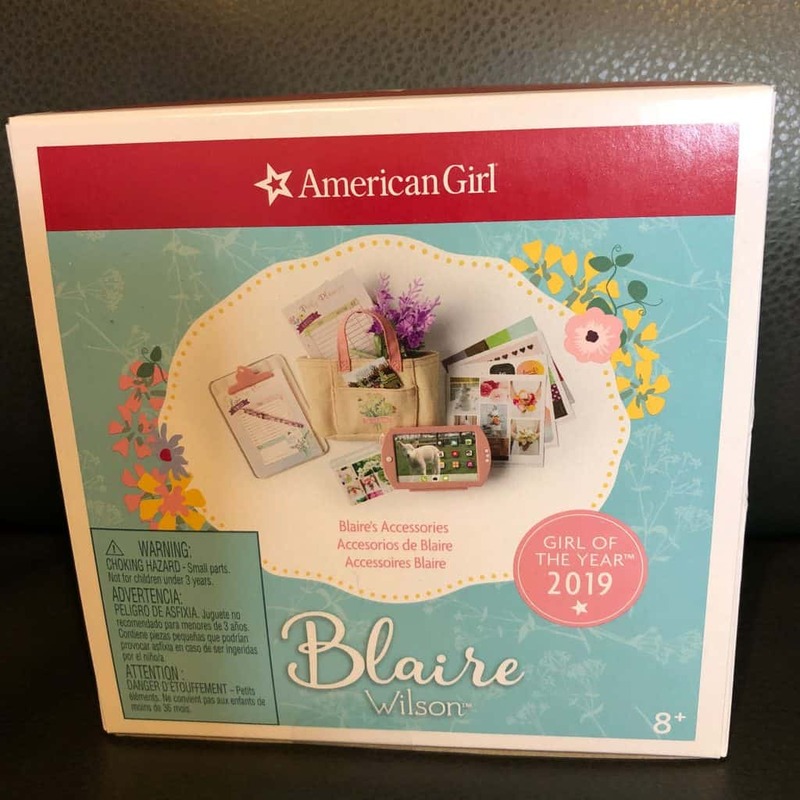 I am so excited to be able to offer a giveaway for a American Girl 2019 Girl of the Year Blaire Wilson to one A Sparkle of Genius reader!!! 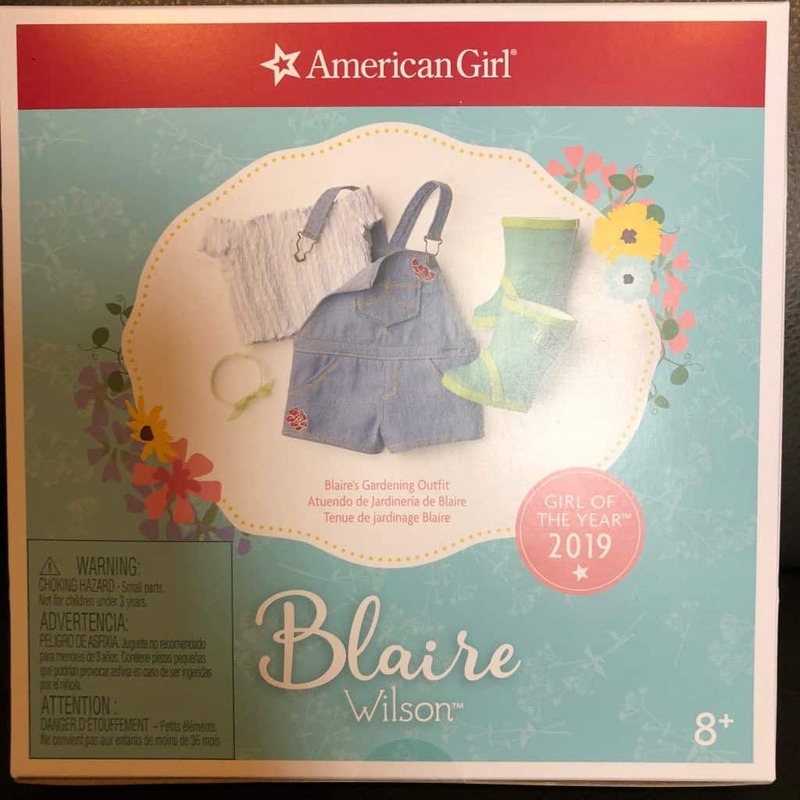 Girl of the Year 2019 Blaire Wilson GIVEAWAY!!! Visit American Girl online to shop or for more information!